It’s hard to imagine, but this exquisite blue feather from a Crimson Rosella was actually a bit camera shy – the colour fading in intensity – almost dissolving – depending on the angle it was held at. I had to investigate immediately and discovered that there is quite a tricky explanation involving molecules, air pockets, protein patterns, a fight to the death between wavelengths (with blue winning out of course) and general three-dimensional horseplay. 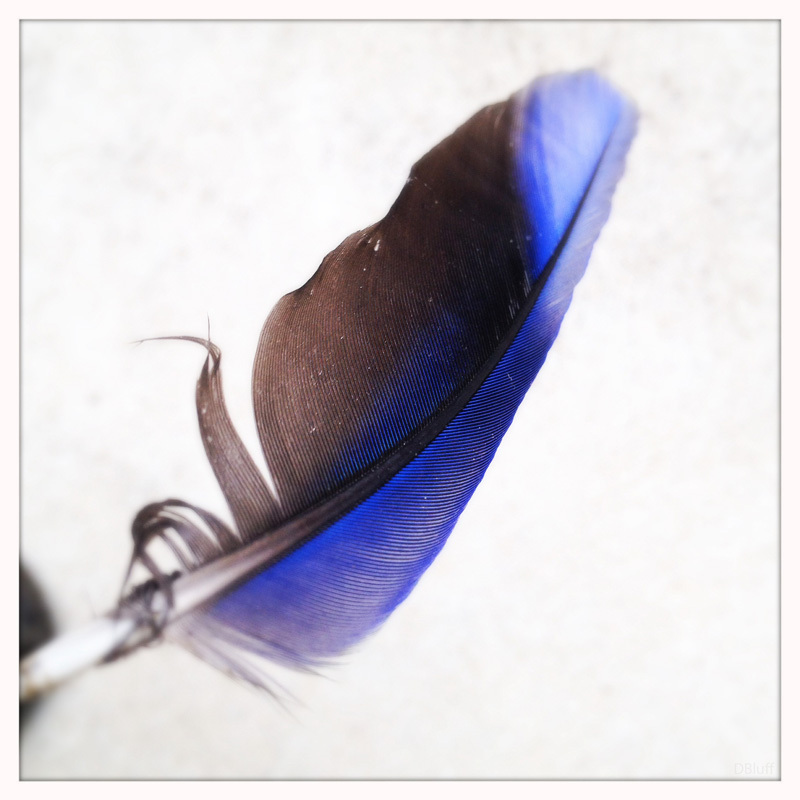 Yup, old-fashioned pigments have no business being in this here feather – it’s high tech structural colour all the way. Check out Helen Fields’ full article over at the Smithsonian Magazine for a more in-depth explanation of this epic evolutionary light battle.